Even though when you decide to purchase used printing presses instead of new ones you reduce to a certain extent the range of models from which you can choose, the variety is, nonetheless, quite wide. In fact, in some cases, there are greater chances to find certain models of printing equipment on websites dedicated to second-hand machines, such as Allforprintmarket.com, than from the mainstream market, because many types of printers that might meet your requirements are not produced anymore due to the fact that customers seem to have different expectancies. So, if you are not sure which type of printer you want, here are some opinions about the most common used printing presses available on the market. Heidelberg, Komori, Roland and KBA are among the best known producers of printing machines in the world. However, rumor has it that only the first two are going to make it on the market in the next years. That is quite an important factor because, whether you are buying a new machine or whether you are making your pick from among the used printing presses available online, you are probably going to need at some point replacement parts. If the manufacturer stops producing, your chances of finding a part for the model you own are considerably reduced on the long term. However, the market is flooded with second-hand parts all the time, so, if you are willing to take a risk and if you have the patience to look for a certain replacement part in the case in which you need it, all producers make great models. Every producer has obviously released various models in time. You will find numerous models of used printing presses made by different manufacturers on websites such as allforprintmarket.com. You might be under the impression that the most recent models should be more efficient. However, that is not always the case. It is true that the newest presses usually have more features and that the speed and the quality of the printing should be higher. But that does not mean that a recent model will be more efficient for you. The best thing you can do is look for a model that meets your requirements. If your company is not interested in top quality printing, investing less in a machine that works fine, but simply doesn’t succeed in printing extremely sharp colors, would probably be wiser. Moreover, the quality of the end product does not depend on the printing machine alone. The consumables that you use are very important from this point of view, and also the operator of the machine. That is why, when you are looking for used printing presses, you should take into account your employees experience. If someone is used to operating a Heidelberg, they might not be as efficient if they are forced to work with a KBA or a Komori machine. Also, the features and the procedures can be pretty different from one model to another. Nevertheless, having experience with a different model made by the same manufacturer and a manual should be sufficient for the operator to do a great job. 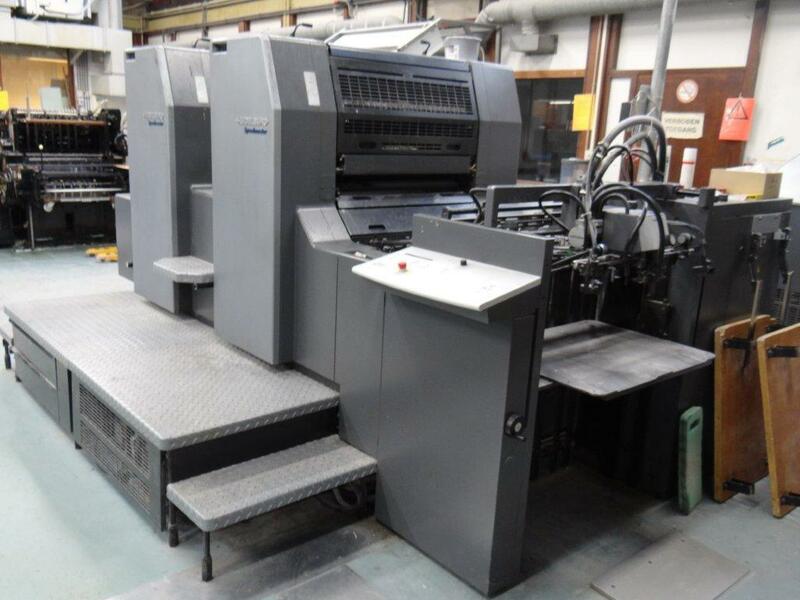 So, besides making sure that the employees have the skills and the knowledge to use a certain type of printing equipment, you should also insist that you receive the manual of the machine when you are purchasing a second-hand product.